As a very young kid, I spent innumerable hours (and gallons of water) playing in the sandbox, where engaged in the rather bizarre ritual of drowning "John Chancellor" (a Fisher-Price figure I named after the then-current anchorman). 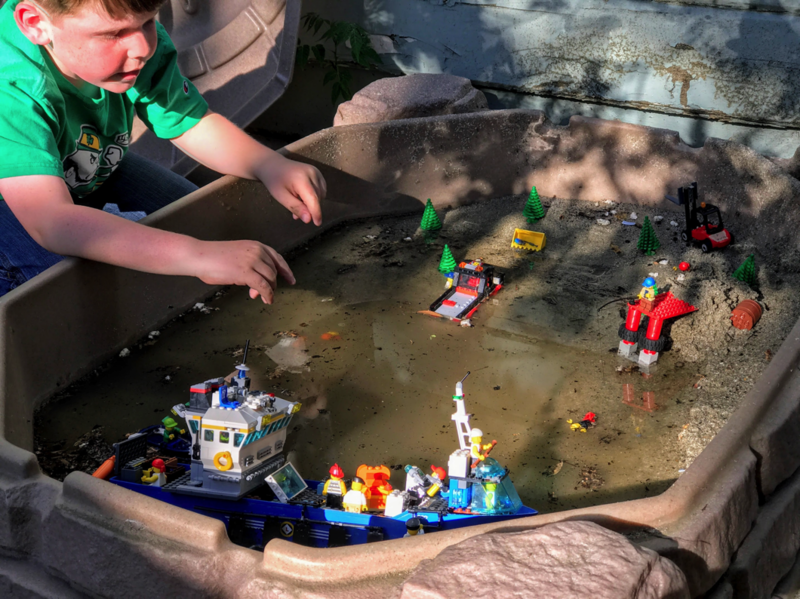 I also enjoyed taking my Lego armada into the tub for technicolor food coloring battles. Our strange world now demands that we speak up clearly in favor of reason & evidence, so today we did. After hand-crafting some signs with Mom-O, the boys joined us & our friends the Hogarties in our local March for Science. Take a peek!